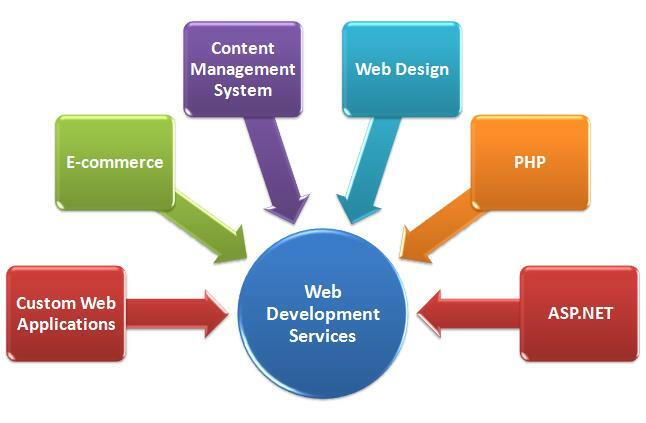 Kenovate Solutions is a website design company based in India that provides services of website design, website development, website designing, wordpress website design, cms web design, ecommerce website designing, website hosting, oscommerce website development, product development, software & solution development. There are no boundaries to what a well designed website or custom application can accomplish. When developing or maintaining a site/application, we strive to help you plan for its problem areas and expert views with their solution to help you take a business decision confidently. Whatever your database needs may be, we can deliver a cost-effective solution, tailored to your eBusiness requirements. Our talented team of experts, using the latest in website development technology, will provide you with incredible services at very competitive prices. Our Website Developers have successfully designed cost effective websites for individuals and businesses worldwide. From ecommerce website development, wordpress website to the high end CRM, ERP, Monitoring System, we can help you realize your goal. In brief, CMS (content management system) is a system or a tool or a combination of tools that facilitate the efficient and effective production of the desired 'output' using the managed content. A CMS is a tool that enables even a non-technical staff to create, add, edit, manage and publish a variety of content (such as text, graphics, video, documents etc), while maintaining data being stored centrally and following a set of rules, process and workflows that checks validity of the content. CRM works best when it works as per your procedures rather than a generic one or the system which was designed for some other industry or users. The solution which has system defined rules and processes same as what is been implemented in your business for years is the one which will help you to streamline your business. The system which has its own operating procedures and doesn't matches with your, its a waste or money, time & efforts to get it deployed and get your people educated on it. Time to get your special CRM Solution developed for your specific requirements. Departments within the organizations should be kept updated with communications & stages with customers. This helps an employee to follow up with a customer for their in-progress issus, support ticket, sales pipeline etc. More recently, the development and adoption of these tools and services have fostered greater fluidity and cooperation among sales, service, and marketing. This benefit of collaborative systems that use technology to build bridges between departments addon the efficiency of the organization and builds customer satisfaction. Our web based e-Commerce web store solution is ideal for online business, no matter what part of the world you are from. Apart from the easy integration with your existing web sites e-commerce tools can be integrated with any payment gateway of your choice. Blog is a website / portal where individuals or a group of people are writting their expert views, comments and sharing information on a regular basis. WordPress is currently the largest self-hosted blogging tool on the Internet (WordPress As Blog). WordPress is an Open Source project, which means that there are hundreds of people that are working on it, forever developing it and improving it. Best of all, it is free for you to download and use. The WordPress publishing system is based on PHP and MySQL programming, and its completely customizable platform is practically backbone of the blog. Our experts team at Kenovate has sound experience and expertise in developing highly interactive mobile & tab applications using the latest OS and with previous version OS. We build extremely user-friendly, value-added mobile apps to compliment your vision.